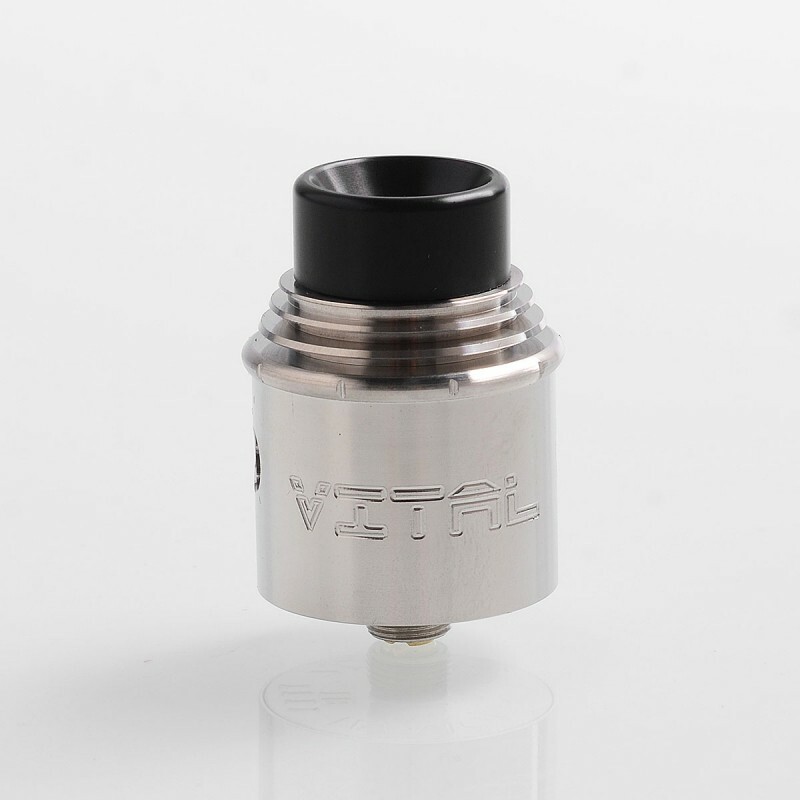 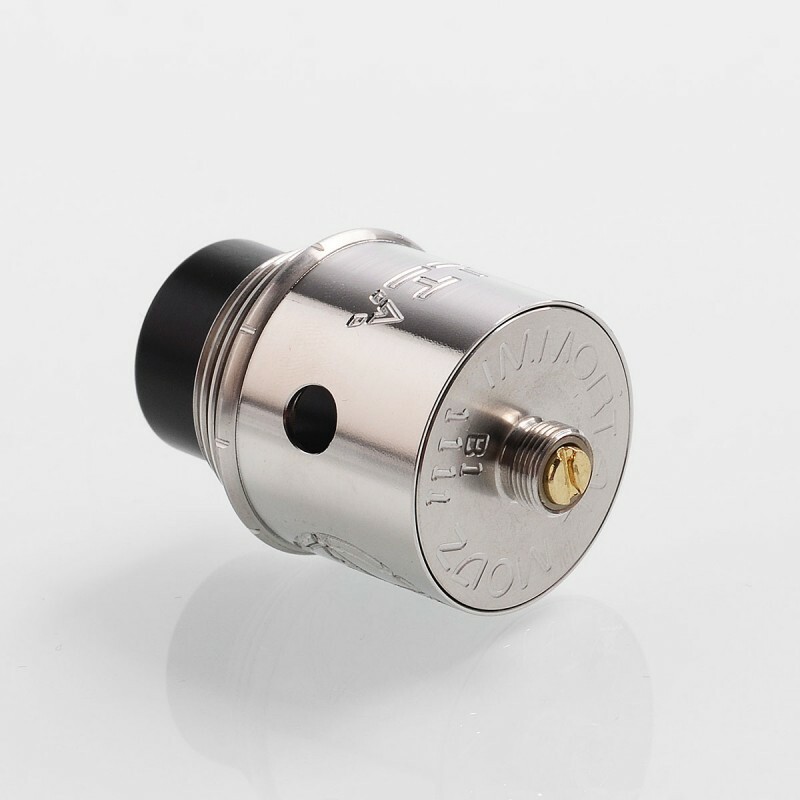 The Vital Style RDA in 24mm diameters is constructed from stainless steel. 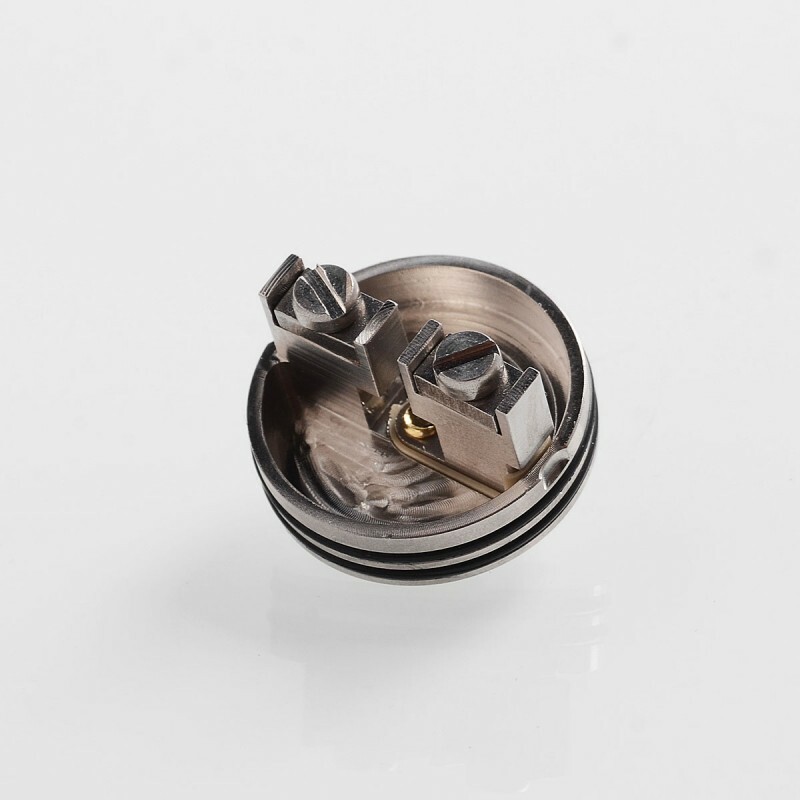 The build deck comes with dual post design for single and dual coil building. 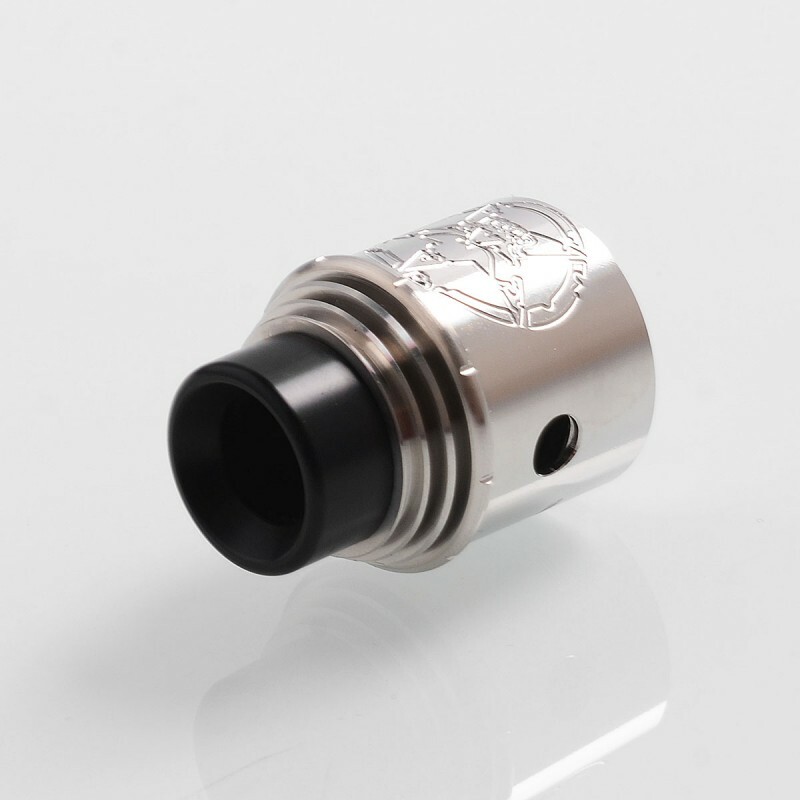 It features teardrop airflow, engraved pattern and locking cap that prevents the e-juice from leaking. 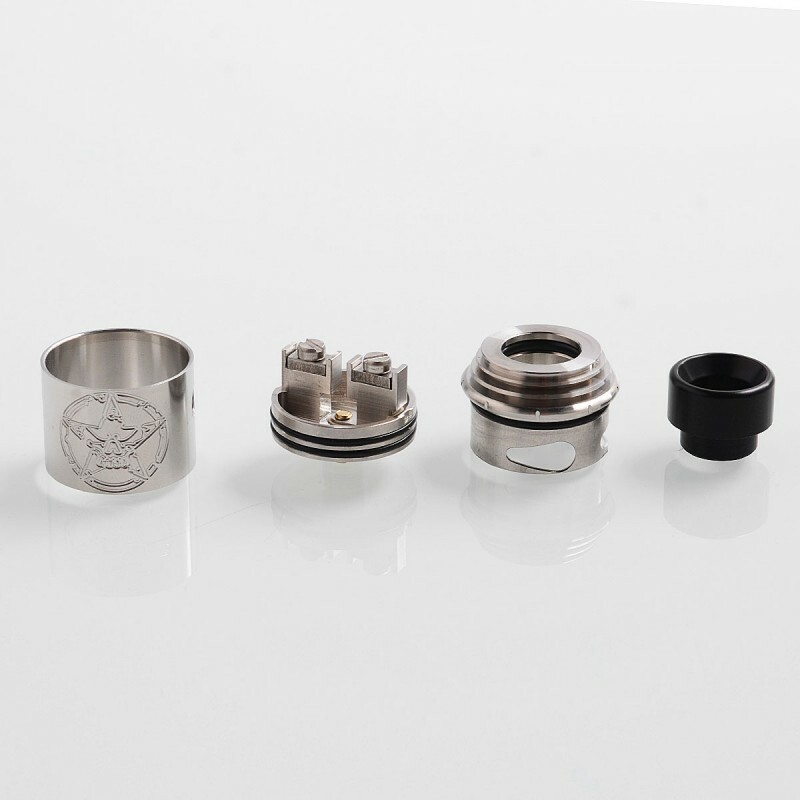 Removable 810 wide bore drip tip and bottom feeder pin are included.